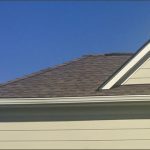 How do I know I really need a new roof? We know replacing your roof is a huge investment. However, it’s not one you should delay if you need it. Your roof is your house’s first line of defense against the elements, so when it fails, it puts the whole structure at risk. Failing to replace your roof promptly could lead to thousands of dollars more in problems to fix. 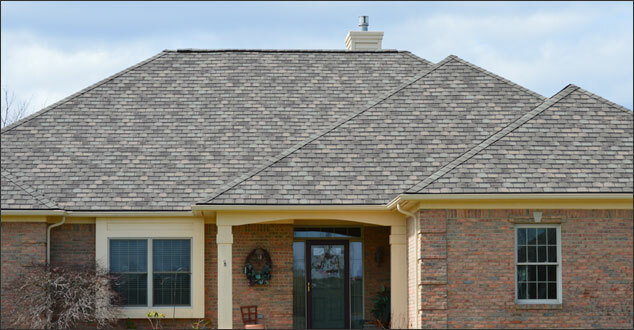 Older roofing shingles have a shorter lifespan than the ones we use today. If you know your roof is over 15 years old, it’s a good idea to call us to come to take a look. Wet spots on your ceiling, in the attic, or crawl spaces. Shingles are curled, buckling, missing or broken. Loss of the asphalt granulation (looks like bald spots). Cracked or discolored interior drywall (painted or wallpapered). If I see warning signs, do I need a new roof or just a repair? Whether you need a repair or a total roof removal and a new roof installed depends on several factors. Most significantly, it depends on if your shingles are past their prime or if they are still good and there is damage to be repaired. It may also depend upon the original installation and whether that contractor knew what he was doing. If the whole system was installed incorrectly, or if your shingles are old and decaying, it will be more cost effective to replace the entire roof. There are new roofing cost calculators online that can help you get an idea for the cost of roofing materials. Renovations Roofing & Remodeling, Inc. is master certified with the major shingle manufacturing brands Owens Corning, Certainteed, and GAF. However, when you get a quote from us, you are getting the cost of the comprehensive service we recommend for your house and roof after a thorough inspection, not just a new roof quickly slapped onto your home. So, it’s impossible to give a one-size-fits-all answer to this question. But you can be sure that the quote you get will be all-inclusive. 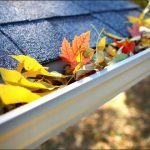 Do I also have to replace gutters and downspouts? If your gutters and downspouts need to be repaired or replaced, we will include this service in our quote to you and recommend that you replace them at the same time you replace your roof. Gutters come in many colors to complement the exterior of your home. If your gutters are in good condition and you don’t wish to replace them, our roofing team will work around them. All roofs have an expiration date, but we pride ourselves on our superior craftsmanship. We use the best materials available within your budget. You can typically expect a new asphalt roof to last around 20 years, but it may last longer. Or, it may need replacement sooner based on a variety of factors. Renovations Roofing & Remodeling, Inc. supplies all of our customers with a full line of extended warranties on all of our products. A new roof is a significant investment. Make sure you are doing it right, with the right contractor, and it’s an investment you may only have to make once. Is your home located in Southeast Michigan? Contact us today with any questions. We would be honored to serve you.